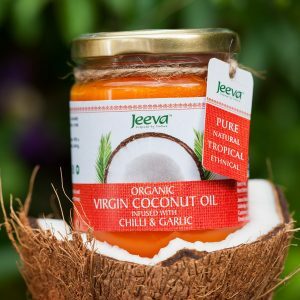 Wonderful for cooking, baking, frying, roasting, spreading, smoothies, salad dressing and also commonly used for hair and skin as a natural moisturiser. 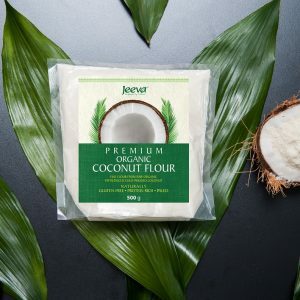 100% garden fresh organic king coconuts, nothing else. 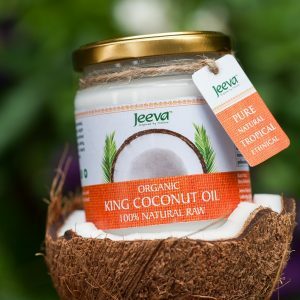 Exclusively brought to you from the shores of Sri Lanka Jeeva is the first to bring you organically-certified king coconut oil which is nutritious, aromatic and full of naturally-occurring goodness. 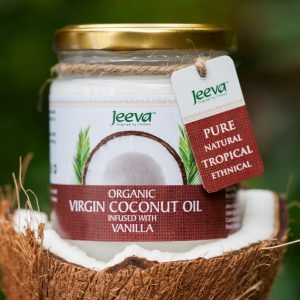 The oil is extracted with minimal human intervention and processed using an advanced system that retains maximum nutrition, keeping the oil closest to its natural form.